Summer is over. The kids are back to school. Days are getting shorter. Leaves are crisping up. WAIT!! “Is that who I think it is??? 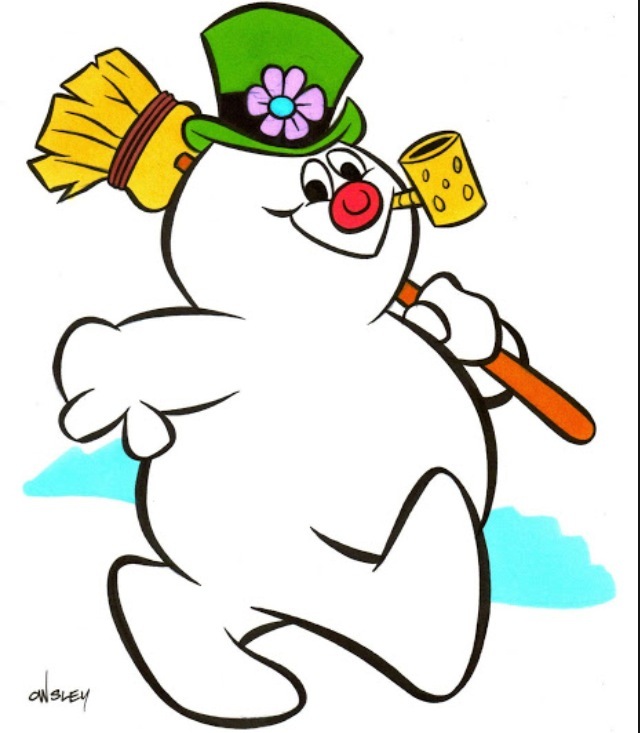 ?” And to my surprise it is indeed none other than…Frosty the Snowman. Take a deep breath and try not to let this icy snowball stress you out. It is never to early to plan for the holidays, but let’s take it slow and chip away at some things you can quickly do now to ensure you are prepared when the actual holiday rush beings. 1. Pack away all Summer items out of sight. Clean out beach bags and wash all pool towels. Discard empty sunscreens and toss flip-flops that have seen better days. Pack items in clear bins and store away until the 2015 Summer season. If you are lucky to travel this winter some place tropical, you have one less thing to worry about as these items are clean and ready to go. 2. Clean out the garage! Pull everything onto the driveway and sweep and hose the floor. This is the time to purge clutter and hang shelves to create linear storage if additional space is needed. Store lawn mower, fertilizer and other large-sized Summer maintenance items behind shovels, snow blower and Winter equipment. 3. This is an optimal time to clean out your family’s closets. Donate anything that no longer fits, was not worn this season or is out of style. Switch Spring/Summer clothing with Fall/Winter. Try items on and love everything! You should open your closet and be able to wear anything without hesitation. If you hesitate, think donate. Make of list of items you may want to add to your wardrobe. Don’t forget your sock and undergarment drawers! 4. If you want to travel during the holiday months but have not yet made plans, now is the time to start gathering ideas. Create a “vacation” file to store anything you come across that peaks your interest. 5. October is the month to purchase your 2015 planning calendar. Record all important school dates, sporting events, activities, birthdays and appointments. This will free up loose papers cluttering your desk. Same applies to those electronic calendar folks. Record those dates!!! These projects should keep you busy this month and get you ready to dive knee-deep into holiday hoop-la! Try to relax and get through one holiday at a time. Happy Halloween!